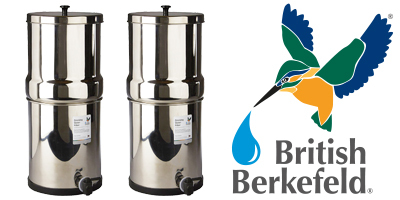 British Berkefeld specialise in gravity fed filter systems, which utilise ceramic filter candles to provide healthy crystal clear filtered water. Systems don't require a piped water supply or any electricity, simply fill and let gravity do the work. As one of the UK's leading authorised distributors for British Berkefeld we offer competitive prices and have unrivalled product knowledge. View our range below or if you have need any expect advice, please don't hesitate to get in touch. British Berkefeld Super Sterasyl Ceramic Candle - 7"
British Berkefeld ATC Super Sterasyl Ceramic Candle - 7"